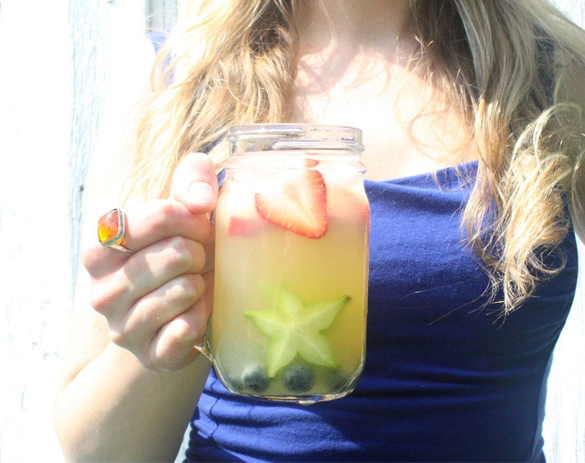 A delicious, refreshing, and patriotic sangria that is perfect for a hot summer day. In a large pitcher mix together wine, liqueurs, and juices. Add sliced fruit. Pour into glasses with ice and top off with soda water.